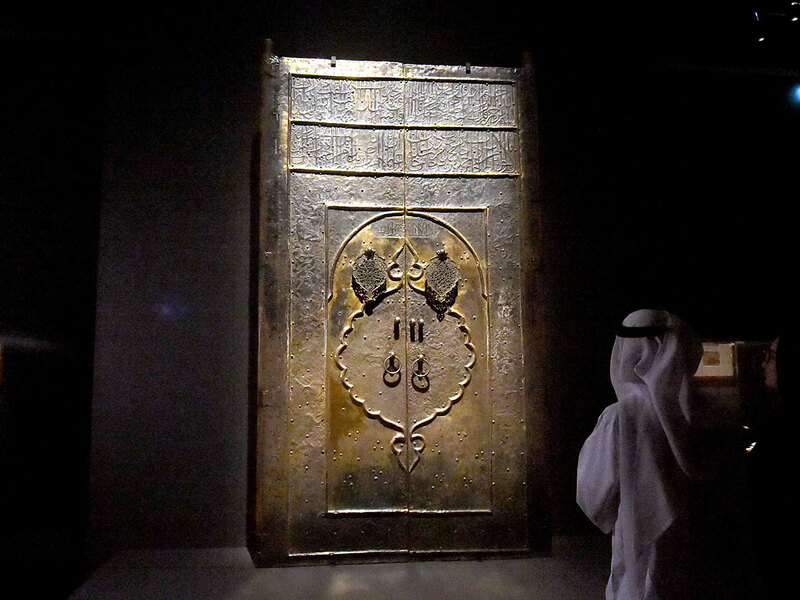 Abu Dhabi: Rare artefacts and archeological discoveries from the Arabian Peninsula dating back more than a million years ago, went on display on Wednesday at the Louvre Abu Dhabi, giving visitors the chance to learn about this region’s history like never before. Held under the patronage of His Highness Shaikh Mohammad Bin Zayed Al Nahyan, Crown Prince of Abu Dhabi and Deputy Supreme Commander of the UAE Armed Forces, the exhibition — ‘Roads of Arabia: Archaeological Treasures of Saudi Arabia’ — is divided into five different sections that explore from the earliest settlements of the Arabian Peninsula, all the way to the present day. Artefacts on display include a third century BCE bronze statue head, a first-century BCE gold funerary mask, ninth-century engraved steles, and a door to the Kaaba dating back to 1355, among several other ancient items. While the majority of artefacts are from Saudi Arabia, the exhibition also features a pearl dating back 5500-5300 BCE from Umm Al Quwain in the UAE, as well as a stone decorated with a wild camel from the late third millennium BCE. The exhibition is a collaborative effort between the Saudi Commission for Tourism and National Heritage (SCTH) and the Louvre Abu Dhabi, and will run until February 16 next year. ‘Roads of Arabia: Archaeological Treasures of Saudi Arabia’ exhibition in Louvre Abu Dhabi, within its tour to the most popular museums worldwide, takes place at an important stage in the history of the Kingdom of Saudi Arabia, led by the Custodian of the Two Holy Mosques, King Salman Bin Abdul Aziz,” said Prince Sultan Bin Salman Bin Abdul Aziz Al Saud, president of SCTH, on the exhibition’s opening in Abu Dhabi. 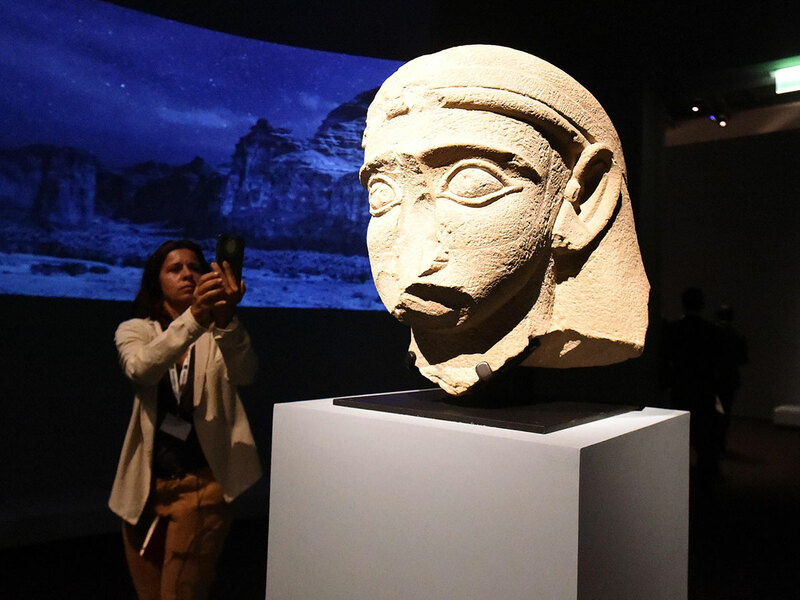 Noëmi Daucé, chief curator for Archaeology at Louvre Abu Dhabi and one of the co-curators for the exhibition, said that a lot of visitors would be surprised by what they see, as the exhibition gives a new outlook on the region’s ancient history. “I think visitors will be surprised in a good way. 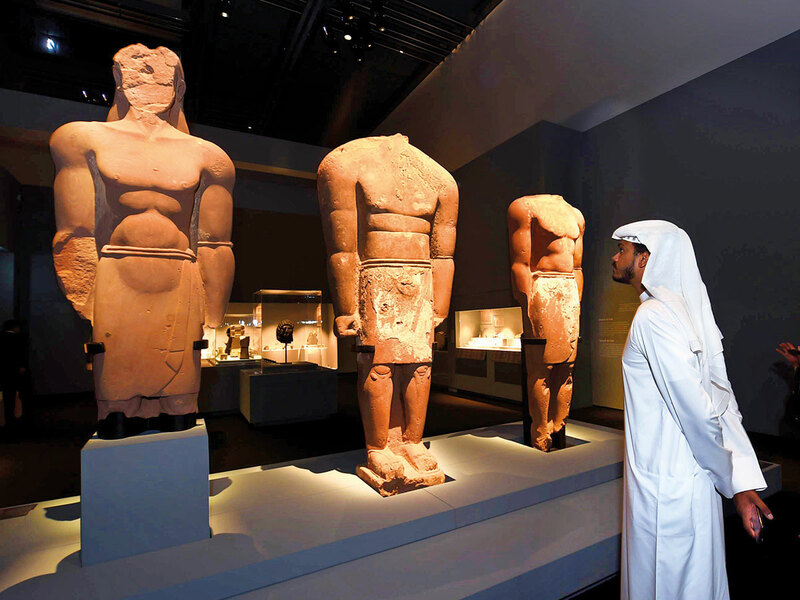 They will get to see statues, sculptures and many different artefacts that reflect the diversity, heritage and wealth of history in the Arabian Peninsula. “The history of this area shows diverse groups of people living here as well as people travelling through this region. With all of these discoveries, we are able to observe the different influences of culture and how these cultures mixed together to create a new and original culture, and this was something we were very keen to show,” she added, explaining how visitors will be able to appreciate the social development of the Arabian Peninsula, starting from ancient history to the present day. “The items on display at the exhibition go back more than one million years ago. 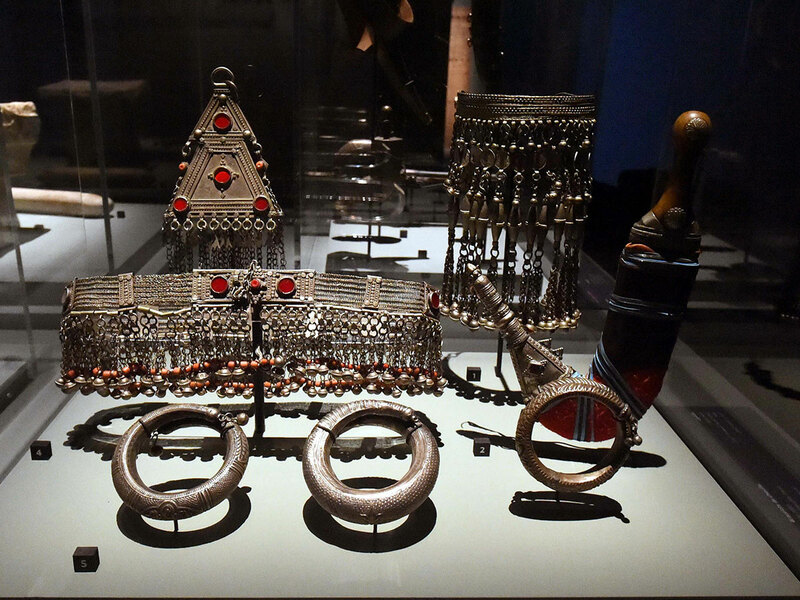 In the first section of the exhibition, there are ancient tools from the first people who came to the Arabian Peninsula. These were people who had migrated out of Africa moving towards Asia, and they had gone through Saudi Arabia,” she said.